With compressed air a superfine stream of color can be produced which enables the application of a super thin layer of make-up. The results are sensational: Make-up you won’t feel, providing a semi gloss, silky smooth and natural looking appearance. The possibilities of working in rouge as well as highlighting and shading are breathtaking and enable very smooth transitions. As a result of the new high-resolution TV format HDTV (high definition television) airbrush make-up has become even more important: The increased resolution provides breathtaking sharpness. Accordingly, make-up flaws quickly become visible to the full extent. These high standards can only be met with these special techniques, the appropriate make-up and the necessary knowledge. 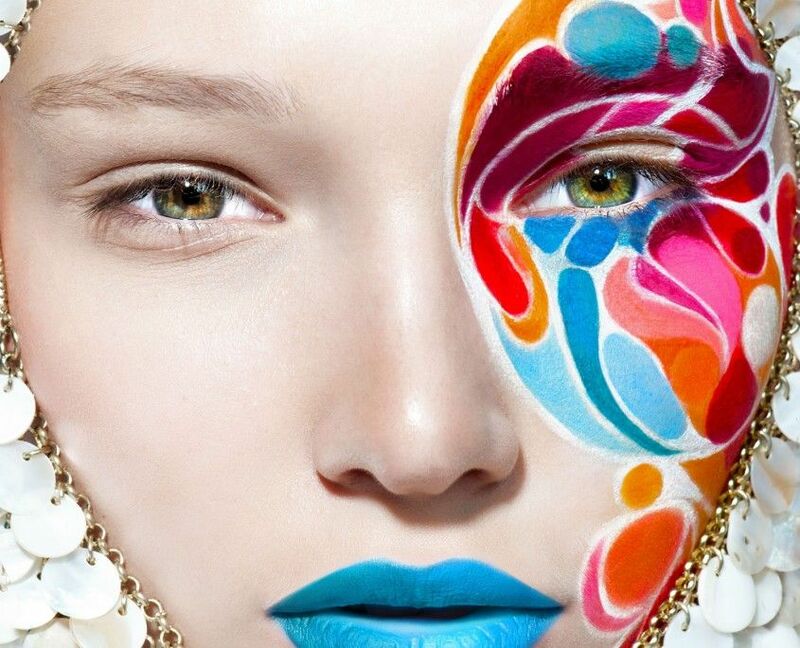 Using an airbrush will give you limitless creativity. This workshop is suitable for visagistes and make-up artists. You should have basic make-up skills. After having successfully completed the course we will present you with your certificate. To successfully complete this course basic make-up knowledge is essential.